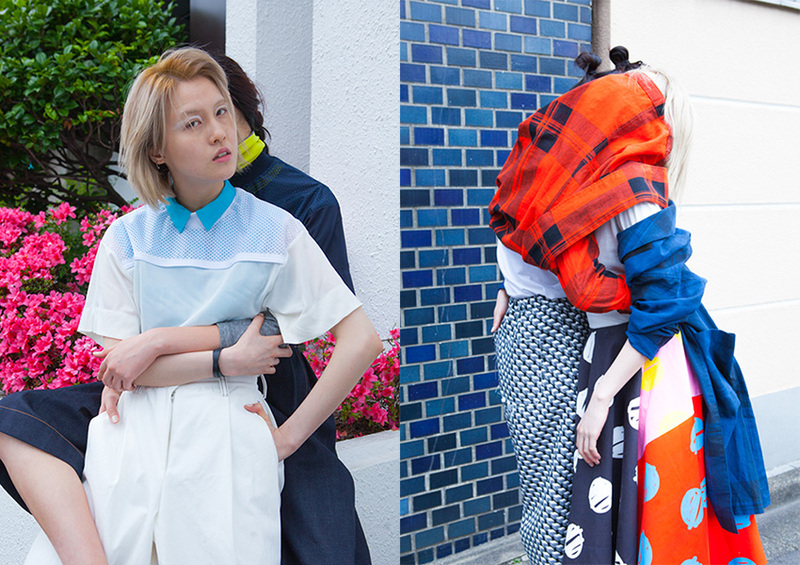 T-shirt and trousers by Non Tokyo and T-shirt, trousers and knitwear by Non Tokyo. Shirt by Stof, trousers by Bodysong, coat by Stof and skirt by Vivetta. Scarf by Bodysong, top by American Apparel and trousers by Bodysong. Hoodie by Kriss Soonic, trousers by Opening Cermony, blouse by Kriss Soonic, top by American Apparel and shorts by Non Tokyo. Dress, jacket and cap by Bodysong and belt by Marni. Clothes by Bedsidedrama. Sweatshirt and jacket by Bodysong, skirt by Non Tokyo, top and transparent skirt by Bodysong. 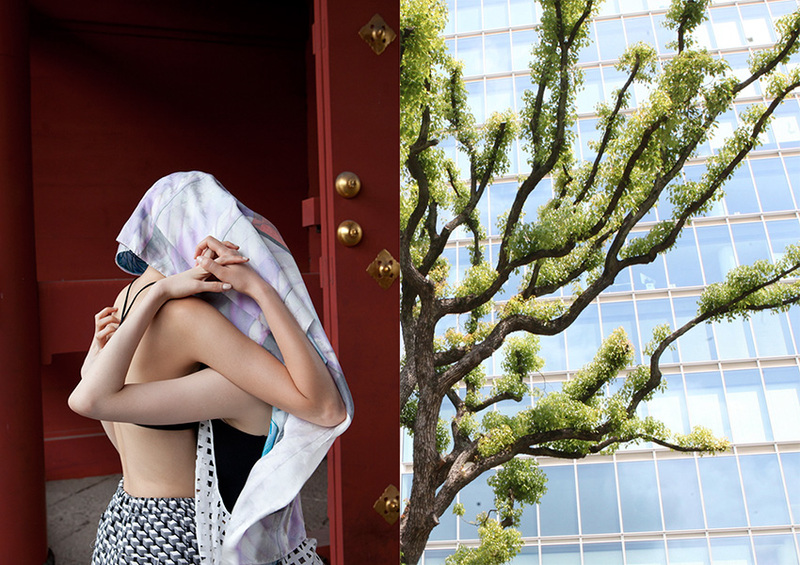 Photography by Gael Delhaye@Pinx.Management, fashion by Chie Ninomiya, make up by Chifumi Nambashi@Signo, hair by Miki Sayuhda@S-14 and modeling by Sora@Bellona Models and Shiho@Energystyle. Gael Delhaye, Chie Ninomiya, Chifumi Nambashi and Miki Sayuhda.